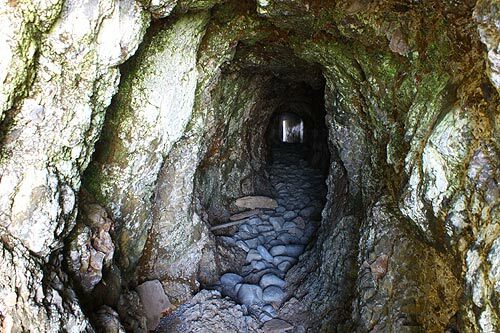 (Oregon Coast) – There is a nice variety of pivotal points in American and northwest history which happened on the north Oregon coast – and many have places tied to those events which you can walk on or around right now. 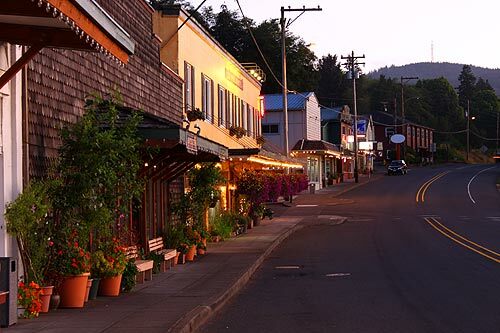 From Astoria's abundance of whimsical wonders and attractions, to old lighthouses, passages through time of one sort or another, and the ragged, rusting remnants in towns like Seaside, Cannon Beach and Garibaldi. This top third of the Oregon coast hosts much in the way of temporal-tripping delights. Astoria is full of these awe-inspiring items. 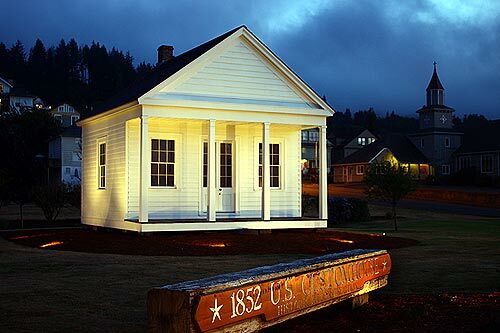 The whole town itself goes back far enough to be called the oldest settlement west of the Mississippi, and numerous Lewis & Clark landmarks sit around here. Just about every street has some vibrant, elder Victorian home or another, and Coxcomb Hill and the Astoria Column represent some major landmarks in the city's past as well. 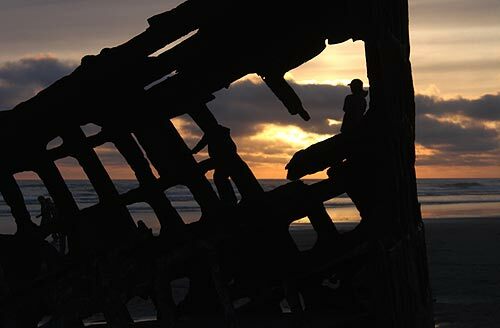 Head just a tad south of town to Warrenton and there's the stunning wreck of the Peter Iredale. This schooner ran aground a bit over 100 years ago, and ever since it's been one of the more photographed shipwrecks in the world. 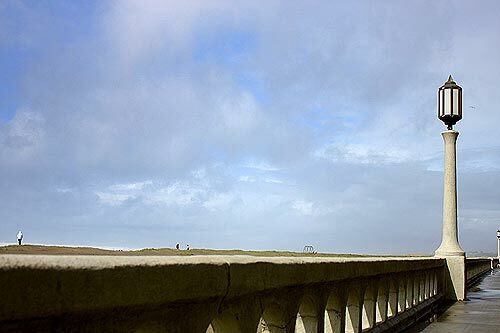 Not to be outdone, however, the park which surrounds the Iredale – Fort Stevens State Park – also contains ancient concrete battlements dating back to the Civil War, including Battery Russell. 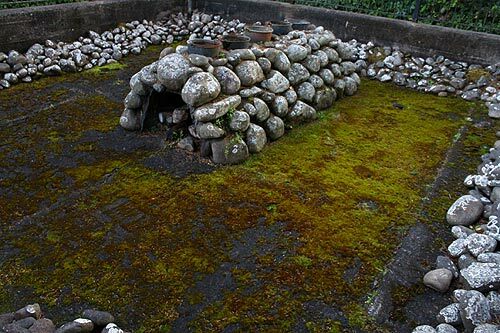 Once these housed great gun turrets and bundles of troops. Now, these old structures hold only yawning rounded holes and emptied, often darkly brooding rooms, all of which remind you of an old castle ruin of sorts. There's much more about all these goodies at the Astoria, Warrenton, Gearhart Virtual Tour, Map. In Seaside, more history lurks in the form of the monuments to Lewis & Clark. One is a famed statue at the even more famous Turnaround, and the other commemorates where the Corps of Discovery boiled ocean water for salt. 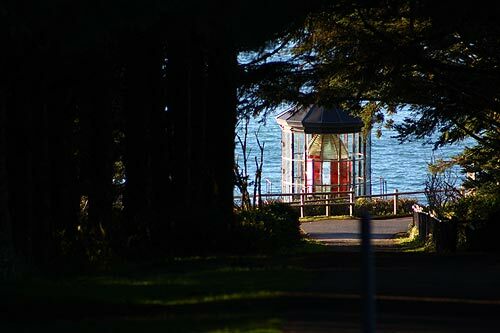 The entire Promenade is of a historical nature as well, dating back to the 20's. It's been rebuilt since then, but this walkway contains enough time travel vibe to make you feel like Christopher Reeve in that fantasy romance flick from the 80's. 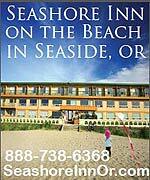 See the Seaside, Oregon Coast Virtual Tour, Map for more information. 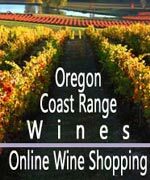 In Cannon Beach, there are entire tours geared to some of the historical cottages dotting the town. You can find more about these at the Cannon Beach History Museum. Another more striking bit of its bygone eras is the lighthouse looming just offshore. 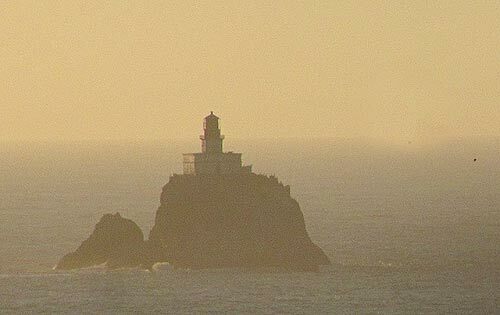 Tillamook Rock Lighthouse is a mysterious visage in the distance, dating back to the end of the 19th century and decommissioned in the 50's. The town's most famous landmark of its past is the tribute to Lewis & Clark's troop getting this far south to check out a beached whale. 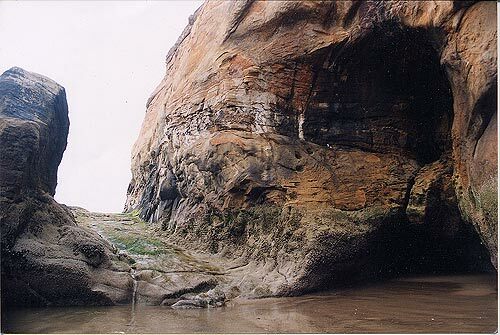 But Cannon Beach's most fascinating peep backwards is likely the old road going around Hug Point, which was blasted there a little over 100 years ago so old horse 'n' buggies and Model T's could get around that stretch of beach. This was, of course, when the sands were the actual highways of the Oregon coast. 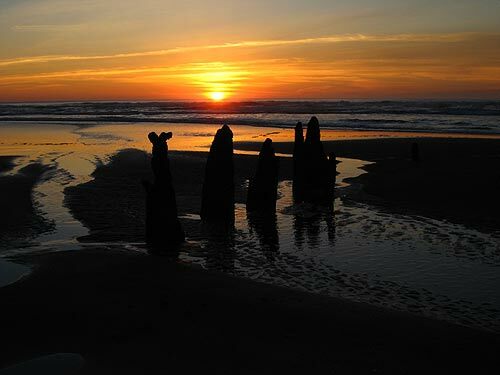 In Manzanita, there's not a lot that's obviously of a historical nature sitting out in the open. The town does have a very colorful past, however, with shipwrecks, legends of pirates, and odd artifacts being found everywhere. But a tad south of there, the slightly-inland town of Wheeler, on the Nehalem Bay, contains some eye-popping antique shops that are definitely unique on the Oregon coast. Also, some interesting ancient buildings sit tucked away behind these tiny little streets in the hills above town. Zip through Rockaway Beach and you'll glimpse plenty of ancient homes and storefronts just dripping with a frontier vibe. 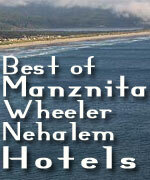 More about Manzanita, Wheeler and Rockaway Beach. 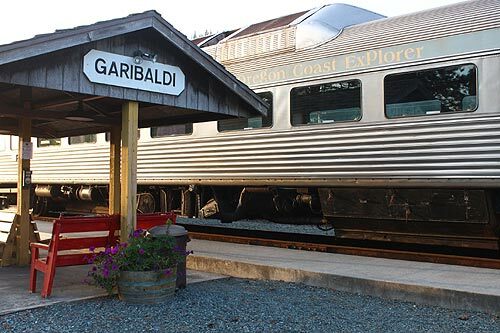 Another five miles southward and you'll encounter Garibaldi, with its gigantic G on the hill, a soaring smokestack left over from an old mill, and of course the hugely popular Oregon Coast Explorer antique train rides. These ancient engines run almost every day during summer and plenty of special rides in the other seasons. Round Tillamook Bay and meander through Tillamook to get to the Bayocean area, the large sand spit that borders the bay. You can't see any remnants of it now, but there was once a sprawling resort town here. More on the Bayocean resort. 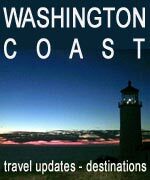 For more visible chunks of history, drive a few miles south into the Three Capes Loop and visit Cape Meares Lighthouse, which does let you inside some parts of the year. A few more miles south of there and you hit Oceanside – a tiny and somewhat out-of-the-way village. 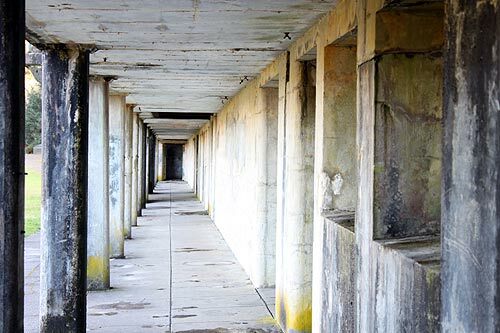 Walk through the tunnel at Maxwell Point and you are literally walking through a structure that dates back to the early 20th century. Also of interest: the hills surrounding this area were scorched in the 30's by a massive forest fire. It's amazing how well this area has recovered in that time. Places like Cape Lookout, Netarts, Sand Lake and Tierra Del Mar are on the drive as you continue southward along the Three Capes Loop. Part of the scenic wonders are a handful of old homestead buildings and barns here and there. At Pacific City, the Three Capes Loop takes you back into Highway 101 and soon you'll find Neskowin. Some really ancient remnants sit here with its 2000-year-old ghost forest. Some buildings here have a charming, older vibe as well.